Conservatives remain ahead in the Aldershot constituency and the Lib Dems slip from 2nd to 4th. A Rushmoor BC UKIP has defected to Labour. The composition of the council is now Con 25 Lab 12 and UKIP 2. In 2004 it was Con 24 Lib Dem 14 and Lab 5. That’s the first time I’ve heard of a defection in that particular direction. That is a really surprising defection. I’ve previously heard of Lib Dem to Labour, Tory to Labour and vice-versa. I remember reading around the time of the Census publication a BBC News report about how the white British population were leaving a number of parts of London for elsewhere. There was a table of where the highest levels of so called ‘white flight’ have occurred. 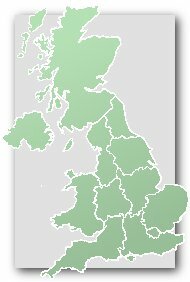 Outside of London, Rushmoor (the borough which Aldershot is located in) was one the top 10 areas where it has happened. Would this have implications for future voting patterns? depends who they are displacing.. there is very little new construction allowed in these towns in the South. Maybe they used to be Labour at one time. Actually, Antiochian, there are currently plans for around 4,000 new houses in ‘Aldershot Urban Extension’. I doubt whether this would effect voting patterns by itself. He was one of three UKIP councillors elected in West Heath Ward in Farnborough in the all out elections of May 2012. Last year one other defected to Labour. I’ve said that UKIP aren’t yet setting Britain alight. Clearly I was wrong. Thanks Barnaby. That’s the best laugh I’ve had for a while. I agree with that. I enjoyed Halfon’s description of Godfrey Bloom as a cross between Sid James and Bernard Manning. UKIP are clearly on the slide now. They are no longer favourites to win the Euro elections. What odds they don’t even beat their 2009 performance? Media hype may help them, but it does feel to me that they have stalled. The onrushing momentum they had this time last year has dissipated. Peaked a year to early? Any ideas why Aldershot constituency has been so politically stable since 1997? It has been stable but I think the Tories will win with a larger majority, since Labour will probably gain second place, which will inevitably leave the Tories further ahead. The LDs have done very well even to get this constituency on to a target list, given its demographics, but hand on heart no Lib Dem could ever seriously have expected the Conservatives to lose. Now they have collapsed in a heap locally, and I’d be amazed if Labour aren’t second – which I think hasn’t happened here since 1970. I would agree with Hemmelig.. there is only so far a party that is a one man band can go. No fan of Farage here but he is a dynamo and a lot of his effort goes towards dragging along the deadweight of organisational amateurs and others unwittingly undermining the forward momentum. Eventually the political equivalent of physics sets in and the Blooms etc make the whole thing slow down to a halt and then reverse.. if the LibDems Cleggasmed too soon in 2010, then the UKIP might be said to be suffering Brewer’s Droop at the moment.. Farage’s electoral Viagra has worn off..
UKIP’s momentum has definitely sapped. However, there is a danger of assessing their impact on the 2015 election on the basis of their performance in 2013. Even if UKIP manages ‘just’ 6-8% or so at the next election, they could still cause problems for Cameron in certain marginals. Few are saying that they won’t manage to achieve that. However, I do now feel that the predictions of numerous UKIP rampers on here – A.Brown and 111 for example – will turn out to be very wrong. I think the Lib Dems will comfortably get 15% nationally in 2015, and that UKIP will not be in double figures. I wonder if one of the reasons for Nick Clegg challenging him to a debate is to ‘show up’ UKIP, a bit like how Nick Griffin’s Question Time appearance was followed by the utter collapse of the BNP. Note that I am NOT in any way suggesting that UKIP is anything like the BNP. For starters, UKIP poses an electoral threat nationally in terms of who might form the next government, something which the BNP never did even at their height. Also UKIP are a right wing Eurosceptic party, which is a million miles away from a neo-Nazi outfit. But I do wonder if some pro-Europeans want to show the party up prior to this set of elections. H Hemmelig- well I agree with you. Indeed I have consistently taken issue with 111 and A Brown on that point throughout the last year. I was simply stressing that it would be wrong for Conservative HQ to start relaxing-UKIP doesn’t need to do all that better than it did in 2010 to cause Cameron problems. I also agree with your predictions for 2015. I heard an anecdote, possibly either on here or on PB, that many UKIP votes last may had the crosses in the wrong place on the ballot paper. Hence winning very large numbers of non-voters. This is even more impressive when you consider how low turnout was in those locals. While is true UKIP star looks dimmer, I was shocked by how bad Farage’s ratings were in a recent Yougov poll. (Almost Clegg like) The increasing hostility against Farage and his party from the media, other parties and their supporters may only harden their support. Also UKIP are probably taking in traditional swing voters, who would otherwise switch to Labour. So they might not help LAB that much. That doesn’t really make sense, with respect. If polls show that Farage’s ratings are poor, it does not suggest that hostility against him may harden UKIP’s support, rather the opposite apparently. The Lib Dems are currently leading the assault on UKIP, so not sure how their interventions will cause a big slump. Any loss of poll momentum would be caused by UKIP itself IMO. A lot of Clegg’s keynote speech at the spring conference was a barely veiled attack on Farage. He went further to attack them, while spending comparatively less time bashing Labour and the Tories. So he knows how to pick his battles prior to the debates. One thing that I question were his references to far right parties on the continent. I know Clegg didn’t call UKIP a far right party but why mention the likes of Jobbik or the Front National, when UKIP’s agendas are pretty clear? They might embody pub level xenophobia and the Little Englander stereotype, but it was a bit tacky to refer to far right movements in a speech that was largely focused on attacking a right wing Eurosceptic party. Farage has said he wants Britain to be open for trading (though I’m not sure that’d be so easy outside of the EU). UKIP and their supporters seem to be talking about multiculturalism within British society, not closing the drawbridge to global trade and investment. Domestically, one of their main policies is/was a flat tax system. There are many excellent UKIP candidates about and great UKIP posters on this site like Pete. I’m in no way insulting those. UKIP have dropped the flat tax. An excellent post. Both ConHome and the Telegraph comment pages have been made utterly unreadable by UKIP supporting nutters spamming every thread, no matter what the title, with paranoid obsessions about immigrants and the EU. I wonder whether the more thoughtful, libertarian wing of UKIP as represented on here by Pete, Richard and Myth11 will eventually get very disillusioned. Paul Nuttall strikes me as pretty bright. I’m not sure that Pete would describe himself as a libertarian. I would say he is most definitely not – much more of a hard right conservative. I would describe myself as broadly libertarian but not in a deogmatic undergraduate kind of way in the manner of someone like Oliver Neville. Keeping the state out of interdering in people’s lives is a major part of my political philosophy hence my deep hostility to the nannying tendency embodied in the likes of Sarah Woolaston. I don’t see why H Hemelig believes though that being libertarian should make one likely to be put off by UKIP’s policies on the EU. There may be various strands of opinion within UKIP on some areas like economics and even immigration, but I should have thought there is at least near unanimity on opposition to UK membership of the EU. I’ve always seen lib dem as illogical and wooly. I won’t go further. Pete, i have a question for you on the cleethorpes thread please. I don’t think that at all. What I thought may put people like yourself off are the nutty obsessives who dominate right wing blogs these days. I don’t doubt that you have very robust views on the EU and immigration. Nevertheless you don’t give the impression that you are obsessed with these issues to the exclusion of all else, nor do you continually use tiresome hackneyed terms like LibLabCon, ZanuLab, EUSSR etc etc. You also strike me as a live and let live type, as does Richard. UKIP seems to be increasingly dominated by 1950s views on social issues, going after the social conservative vote. I think its fair to say that the media reporting of UKIP has been dominated by quotes from odd (ex Tory) town councillors with some strange views but I think that’s because it suits their narrative. I’ve become much more active in the party in the last year and have met a lot of members locally, regionally and nationally and it is not at all my expereince that these kind of views are dominant. I would say that the kind of live and let live attitude which you attribute to me and Richard is in fact the dominant one. Of course not all 1950s social attitudes are anti-libertarian. Somebody travelling to today in a time machine from 1954 might be shocked to discover that homosexuality was not only legal but widely accepted – even ‘celebrated’ but they would equally be shocked to discover that there is legislation making it illegal for them to smoke in the pub. Interesting. Do you think that the nutty blog commentators, who can’t say three words without one of them being EUSSR or LibLabCon, are equally unrepresentative of the wider UKIP membership? A former colleague of mine from years ago went on to work for TfL, and had an office next to the two UKIP London Assembly members who were elected in 2004. He described how the UKIP members who visited the office were invariably extremely nice and polite old ladies who insisted on offering him tea and cakes, despite him being obviously a socialist. He never engaged their views on politics. This story has stayed with me and formed my stereotype of UKIP ever since, however I guess the party’s changed a lot since then. Research of some 6000 people has shown that UKIP are taking more Labour votes that Tory votes. UKIP failed to gain any seats in Rushmoor despite performing strongly in the borough at the Hampshire county council elections last year. The only seat to change hands was a Labour gain of the only Conservative seat in Wellington Ward. This was the first election of thirds following all out elections due to boundary changes in 2012. That year Labour polled more votes and took 2 of the 3 seats so the Conservatives would have required a swing from Lab to Con just to hold on. Compared to the 2010 general election this must but one of the worst results for the Lib Dems anywhere. I would be very surprised if they could retain second place in 2015. I can see the LD vote collapsing (more than halving) but I can’t quite picture a surge for anyone else. Did they actually stand everywhere? The only fielded 3 of 13 candidates in Rushmoor and did not come even close in what we’re once their three strongest seats. Ironically the Lib Dems still dominate Blackwater & Hawley…The part of Hart DC that is included in the Aldershot Constituency. The Lib Dems have been completely wiped out in Rushmoor Borough Council which covers all but 2 wards in the constituency. There is absolutely no way that they will take 27% of the vote or outpoll Labour. Long standing Liberal Democrat candidate Adrian Collet (who has stood here since 1992) is also not standing again. There is a by election in UKIP’s West Heath Ward which occurs on Thursday the 9th of October – the same day as the Clackton By Election. How do you the Tories expect to win the seat when they can’t even spell it. You are a gift to UKIP Dalek. PS will you be applying for English citizenship in Aldershot after the Yes vote, or buggering off north of the border? Independence is the one chance that your fantasy Scottish Tory revival might actually happen. I don’t see how the Lib Dems are going to retain 2nd place here. They were crushed in the local elections this year. Labour should be able to leapfrog into 2nd place. Not sure about UKIP. All will probably result in an increased majority for Howarth. The Lib Dems have collapsed totally in all of Rushmoors 13 wards except St Marks where the are still a distant second. The are still strong in the two Hart DC wards but this will not be sufficient for them to come anywhere close to retaining second place. The fell back even further in their former stronghold of Cherrywood between 2012 and 2014. The total collapse of the Lib Dems in the Aldershot Constituency has not been reflected some other Hampshire constituencies such as Eastleigh or Portsmouth South.